Orthopedic Technologies (Greenwood Village) - Book Appointment Online! Dr. Paul Burns is a Certified Chiropractic Sports Physician located in the Denver Tech Center. 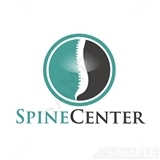 The clinic is a multidisciplinary facility specializing in the treatment of spinal, sports, work, and auto injuries. Through the years we have treated thousands of patients with back, neck and extremity injuries. We incorporate the best in evidence-based chiropractic medicine with spinal rehabilitation, pain management, and physiotherapy. We have an extensive network of medical specialists on hand if your particular condition requires referral. Our practice is outfitted with modern equipment and technology. Dr. Burns is one of a dozen physicians certified to perform Manipulation Under Anesthesia. With many years of chiropractic training and education under our belt, we have treated thousands of patients with head, neck, back and joint pain. Dr. Stengel was great. Very professional, friendly, and helpful. He thoughtfully listened to my medical issues and gave great suggestions. Dr. Stengel was very communicative and let me know exactly what he was going to do before each adjustment. He was also flexible regarding my insurance. Highly recommended!